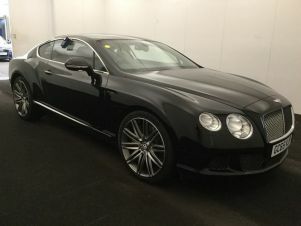 Find the perfect Bentley car today at Carsnip. We’ve got over 1,599 used Bentley vehicles available, and our intuitive search system means that you can make the best decision in the easiest way. We’ve made buying your next car easy. Browse over 1,599 vehicles below. The iconic British manufacturer Bentley has its roots in the motor-racing heyday of the 1910s. It’s been owned by Volkswagen AG since 1998, but continues to produce simply outstanding vehicles. Vehicles such as the Continental GT and the Flying Spur provide effortless speed, style and class in the GT and luxury sedan classes. These have more recently been brought to the SUV market, too, with the indomitable Bentley Bentayaga, said by Bentley to be the fastest, most powerful SUV in the world, certainly living up to its reputation.